The Waterhog Eco Elite Inlay Logo Mat is our top notch premier logo mat. 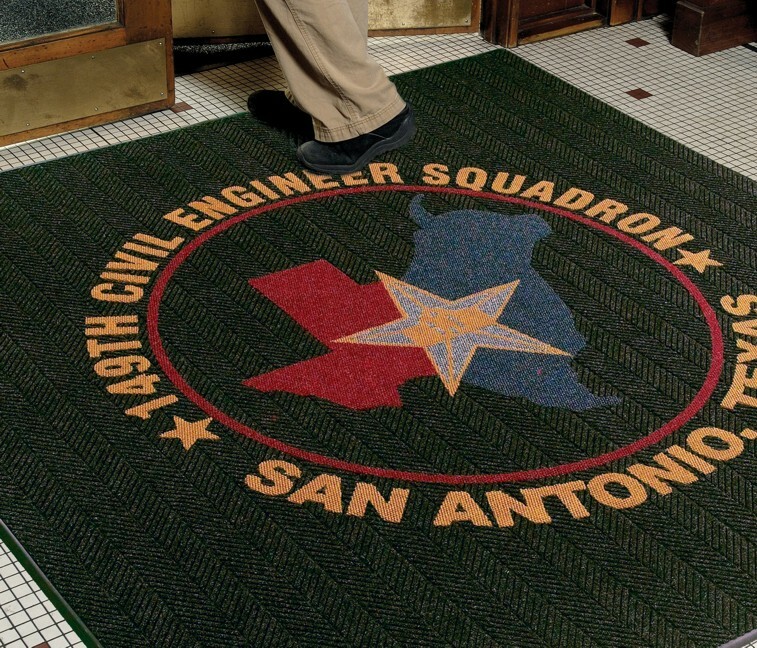 This logo entrance mat is constructed of post-consumer PET polypropylene material that will hold up in the most heavily used indoor or outdoor applications. The base of the custom logo rug consists of 30 oz. of herringbone patterned material and the inlay is 52 oz. needlepunch berber giving that mat an incredible contrast. 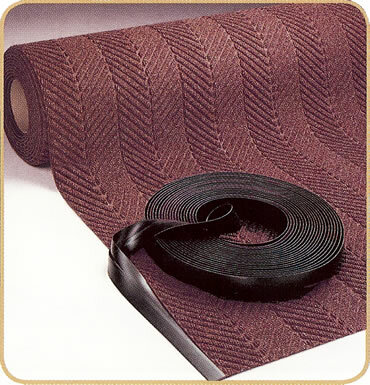 This product can be seamed to make larger sizes up to 12' x 50'. Intended for use in heavy traffic wet entryways where snow and rain is prevalent. Also works as a great scraper mat in dry conditions indoors or outdoors. This product ships FREE in the Continental US!